Hunting season will soon be upon us. Now, this is not turkey, pheasant, or deer season, the setting is not the great outdoors, and the weapon of choice is not a firearm or bow-and-arrow. The setting is the American college campus. The weapon of choice is the mind of the liberal professor. The “prey” is the American freshmen college student. Probably almost every Bible-believing pastor in our nation has experienced this scenario: A teen in the church graduates from high school. They’ve been active in the youth group, sang in the youth choir, and been visible multiple times over the years at the altar… for salvation, re-dedication, to pray for family and friends, etc. In the church since birth, they have grown up being told what to believe, the importance of a relationship with Christ, and the relevance of going to church, prayer, and daily devotions. Excited at the prospects of new experiences and entrance into adulthood, they say goodbye to mom and dad, and drive off into the sunset of new horizons, new adventures, and higher learning. The student sees the beginning of the rest of their life. The liberal establishment sees fresh meat. A naive mind that can be easily turned. A idealistic dreamer who just needs a little encouragement down the path of open-mindedness, coexistence, and a broadened world view. These young, impressionable minds are met by well-read, well-rehearsed ideologues who see it as a challenge to destroy the faith of a young student who believes in God, but doesn’t know how to express why they believe what they believe; an ideologue who has been trained to take faith out of the equation, and rely entirely on the “science” of theories, speculation, and (often times) junk-research. Paul said, “Without faith, it is impossible to please God.” So where does faith come into play? How can a well-meaning young student’s faith contend with the scientifically “proven” arguments of a liberal professor who wields the power of authority and the grade-pen over them? Starting this Sunday, I hope to help you and your student. 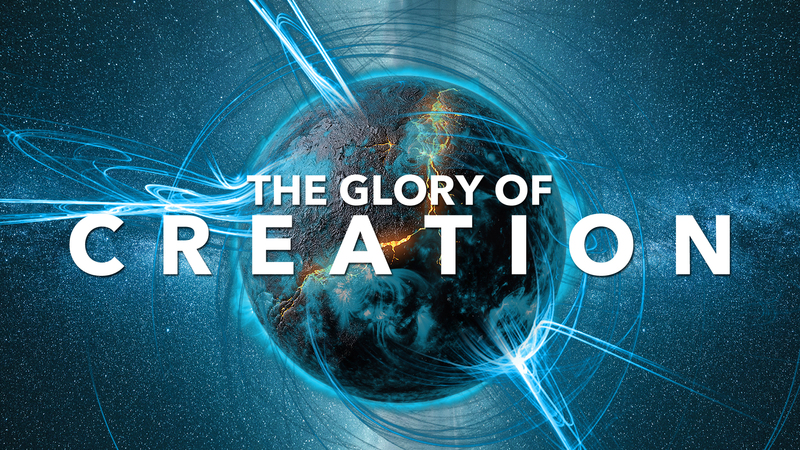 On Sunday, May 10, I will be beginning a new series entitled The Glory of Creation. In this series, we will look at what the Bible has to say about the creation of the universe, help explain some of the “gaps” between the Bible and science, and help understand how science and the Bible are not at odds with each other, but taken together, actually support each other to the logical, honest, and “open” mind…. What was here before the Genesis account of creation? How does the Christian make sense of scientific dating that puts artifacts at tens of thousands of years old? What about the theories of evolution, the Big Bang, and alien civilizations? What did the fall of Lucifer have to do with the earth’s destruction and subsequent restoration? We are going to look at these things over the next few weeks, and I invite you to join us at Abba’s House for this exciting series, The Glory of Creation. I am dedicating this series to the young people in our lives who need to be able to “always be prepared to give an answer to everyone who asks you to give the reason for the hope that you have” (1 Peter 3:15). It is my prayer that this series will allow your student to live at the intersection of scriptural faith and scientific fact, that it will strengthen their faith, and give them the tools they need to stand firmly on the Word of God in a world that is hostile to that faith. (live or online) this Sunday at Abba’s House!